Morocco will play their final World Cup match with a big chip on their shoulders, with their coach taking a few early parting shots at referees and officials. 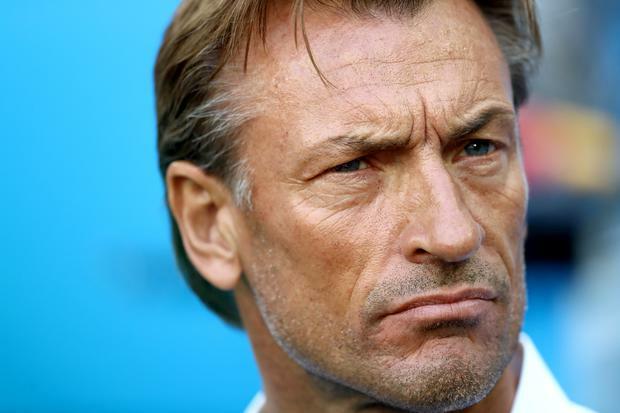 Still-fuming Morocco coach Herve Renard seemed to be more focused on the 1-0 loss to Portugal last Wednesday than tonight's clash with Spain and the chance of heading home with a big scalp. "It is unjust we are already out before these third matches, but we have to accept reality and concentrate on this third game and to save our honour since this is all that is left to us," said Renard. "We have to force ourselves to find something to fight for. I hope we will be galvanised by what has been inflicted against us, and this is what I will try to tell my players." A battling Morocco have played with energy and purpose, but a lack of finishing left them with nothing more to show for their effort than a pair of 1-0 losses to Portugal and Iran. Renard was particularly upset at what he felt was a foul by Portugal's Pepe on Khalid Boutaib that opened the way for Ronaldo's fourth-minute goal. "And there was Pepe's hand (ball)… And then Boutaib is tackled violently in the box and the referees don't say a word, so the whole thing is totally unfair." While Morocco will be playing for honour, Spain will be pushing for top spot in the group. "We will play the same way we played against Portugal and Iran and so the best we can," said Morocco goalkeeper Munir Mohamedi. "We haven't been fortunate with respect to the final results, but I do think we do deserve this reward and give some joy to the squad and all the people who supported us."